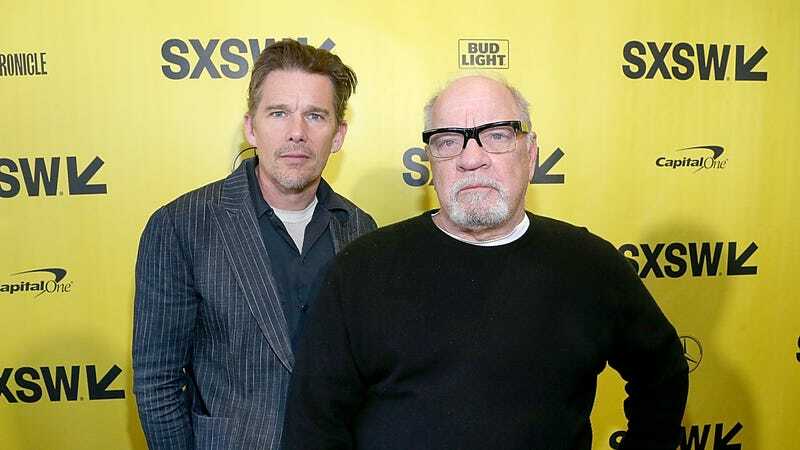 More than four decades into his career, iconoclastic writer and director Paul Schrader made what many say is his best film in First Reformed. Modeled after the transcendental films that enraptured him as a film student, the movie is Ingmar Bergman by way of Yasujiro Ozu, with Ethan Hawke’s country priest facing an existential quandary in the face of powerlessness. That’s a tough act to follow, but Schrader already seems to have a follow-up in mind. Awards Ace’s Erick Weber spoke to Schrader at the Critics Choice Awards, where Schrader scored a Best Original Screenplay win, and learned that the filmmaker has a Western in mind. Titled Nine Men From Now, it will reportedly reunite Schrader with Hawke and frequent collaborator Willem Dafoe, who Schrader previously cast in movies like Dog Eat Dog, Auto Focus, Affliction, and Light Sleeper. As diverse as Schrader’s career is, this would be his first saunter into the Wild West. Hawke, meanwhile, has some experience, having recently starred in Ti West’s In A Valley Of Violence. Dafoe, meanwhile, co-starred in Michael Cimino’s 1980 epic Heaven’s Gate. Here’s hoping Schrader’s project, should it get off the ground, goes smoother than that one.